If you live in Columbus, Ohio, children’s furniture shopping is easy. All you have to do is head straight to Westerville to the Amish Originals Furniture Co. showroom on North State Street. No matter what type of furniture you are looking for, you will be able to find it here. The best part is, even if you are buying items for the most rambunctious children, this furniture is built to last. All of the furniture you will find here is made by 70 area Amish families. These items are made with loving care by hand, and you can see the pride in the workmanship. Each item is unique and has its own personality. This is one of the best things about Amish furniture. Because it is hand-crafted, no two items are ever completely alike, with the exception of sets that are made by the same craftsperson. Each artisan has their own style, which makes each piece of furniture something that is going to be special to you for many years to come. Children can be tough on their furniture. They love to play hard, and if you don’t have quality furniture in their bedrooms you are just going to be buying new pieces every few years. This can add up after a while. It is much better to get quality furniture from Amish Originals that is going to be able to take anything that even the most active children can throw at it. In fact, the items you buy for them today will be in excellent condition for them to pass on to their own children later on in life. One of the most important things you can have in a child’s bedroom is plenty of storage. Otherwise, you may never be able to find the floor. When you live in Columbus, Ohio children’s furniture, including storage units is always available at Amish Originals. 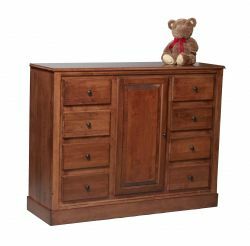 Check out the many styles of chests, shelving and other storage units that are perfect for children’s rooms. All items are well-built and sturdy, and the beds can take even the most active jumpers. You will find a great selection of beds, dressers, night tables, seating and more. Another item any child’s bedroom should have is a good desk, and a comfortable chair to sit in. The easier you make it for them to study, the better the chances are that they will. Don’t forget to make sure that they have good lighting, including a desk lamp so they don’t strain their eyes while working on homework, craft projects, etc. Check out the #1 Columbus, Ohio furniture store!